What can I upcycle an old Harris Tweed jacket into? 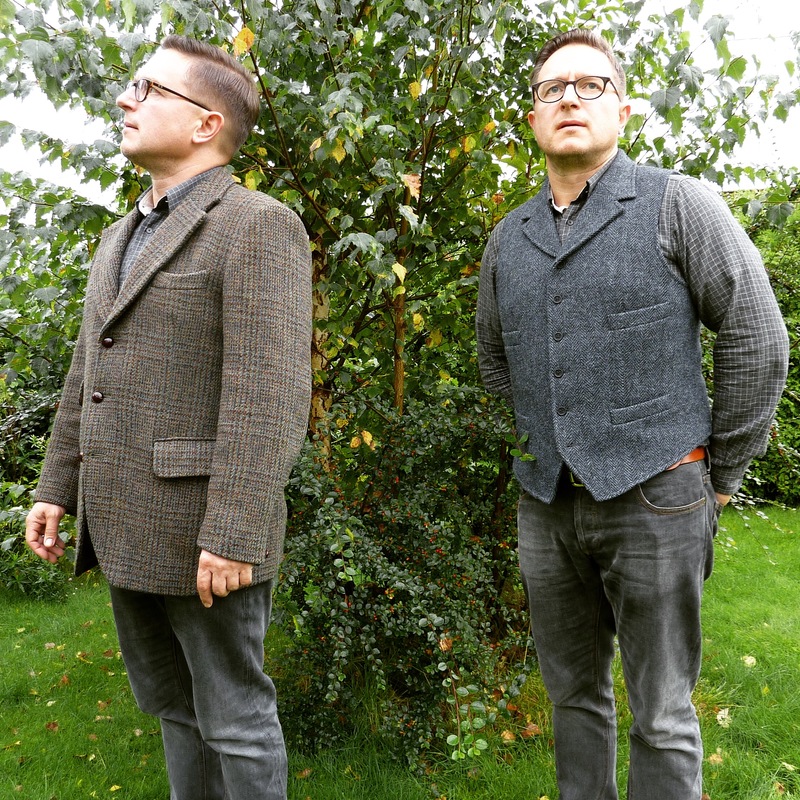 The 2015 tweed upcycle project aka. 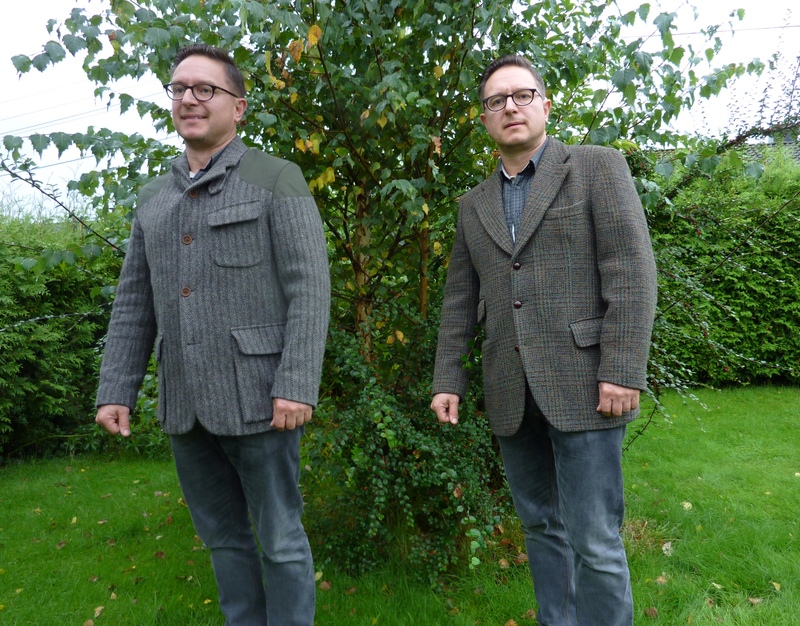 what can I turn an old Harris Tweed jacket into? As summer comes to an end, I feel the enthusiasm for a new project, or three, again. 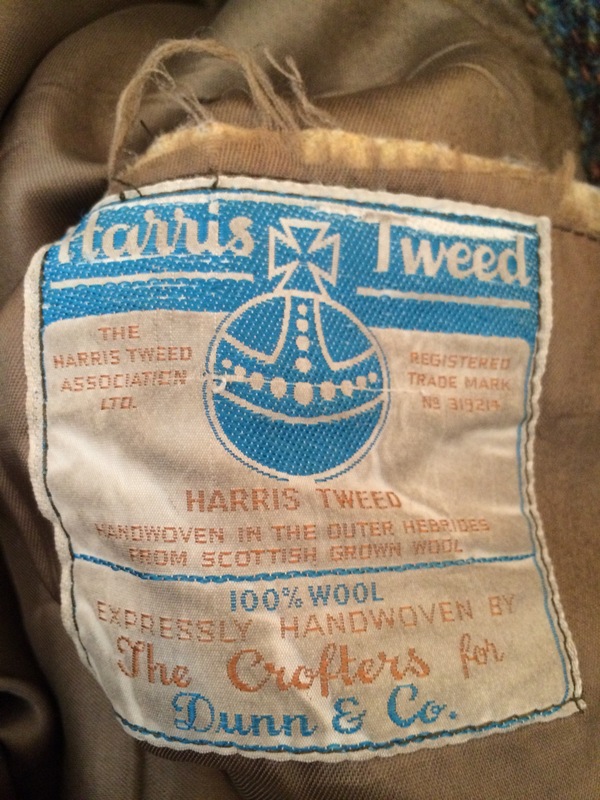 This time I’ll be heading into tweedy areas, motivated by another recent vintage Harris Tweed find. This jacket is most likely from the 1960’s, but although well used it is still in a very presentable condition. A small cut in the lining is really all the damage I can find. And it only cost 17 pounds in an Oxfam shop. You may well think, like I tend to do, that it must surely be sacrilege to start cutting up a 50-year-old tweed jacket? After all, it’s Harris Tweed! And it’s vintage! 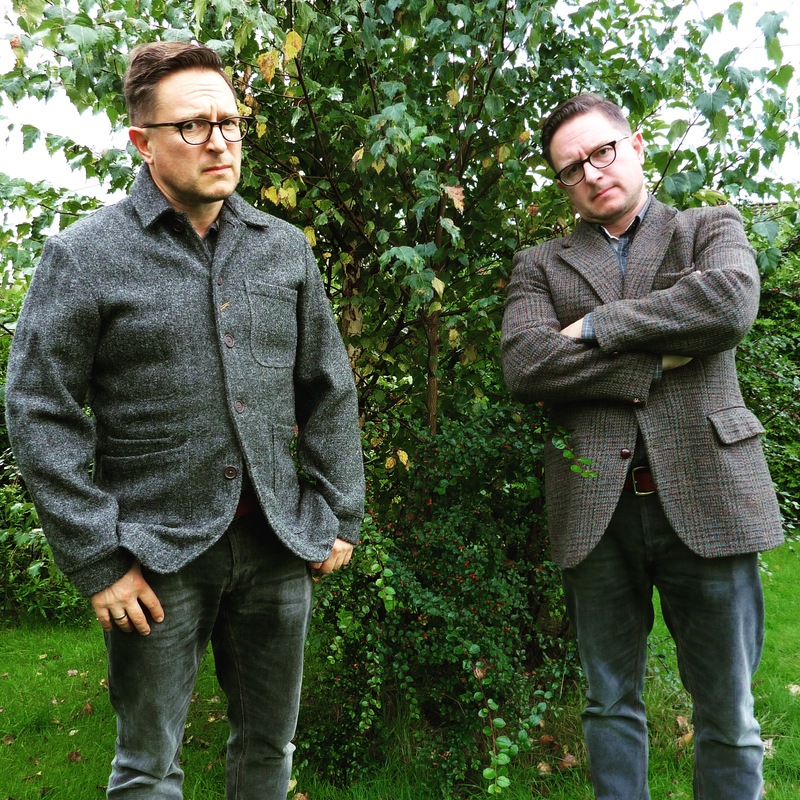 And yes, that is so, but it’s also the case that there are lots and lots of these jackets around, in varying tweeds and ages, yet most of them are in the same boxy, 2 button style that has been de rigour for the older gentleman the past million years. So why not do something different? My three ideas involve different levels of modification and difficulty. Do I know what I am doing? Am I some sort of genius sartorial hacker? Well, not at all. I’m an engineer, so I tend to look at problems in a pragmatic way. Plus, I’m absolutely fearless when it comes to getting stuck in. Am I biting over more than I can sew? Quite probably! It should be quite obvious why this is the first option, it would appear to be the easiest, right? Just remove the arms and job done, a fine piece of tweedy armless attire. And I think that is probably not far from the truth, although not entirely. The jacket has that boxy front, rear flaps and only 2 buttons. So some re-shaping will be needed to get a more typical waistcoat look, and buttons need to be added. Still, maybe not such a tough one. What do I mean by a slouchy look? Well, try to visualise the typical gentleman in his 2-button tweed jacket. He’ll no doubt be an earnest sort, well turned out, a pillar of the community, comfortably off, probably with a moustache and a penchant for a British saloon car that is no longer remembered (for good reasons). And every way he turns that jacket holds the silhouette, primarily down to those shoulder pads. They’re quite obvious, aren’t they? And something about them says that this guy will not appreciate jazz. So, the idea is to remove the shoulder pads, add more buttons on the front, reset the lapels, maybe close the rear flaps, and then give it a good hand wash. And after the wash, let it dry nice and rumply. To me this sounds like a really good plan, though as mentioned, in a sartorial sense I’m well out on a limb here. The final idea is also the most involved. The Mallory jacket by Nigel Cabourn is a ruggedised version of the venerable tweed jacket. The design idea was to replicate the jacket worn by George Mallory on his Everest expedition back in 19xx (more about the jacket here), so strengthened shoulders and elbow patches have been added, along with a throat latch and big bellows pockets. Again this becomes a case of adding buttons and resetting the lapels, but also a matter of how to apply the shoulder material. Cabourn uses ventile for this, though my idea is different. I want to use vintage Norwegian army tents (shades of the Monitaly army tent parka here, no doubt). To get them in place though I need to take more of the jacket apart, which means more work putting it back together at the other end. Too tricky? So which will it be? Stay tuned and all will be revealed. And fear not, if the Autumn turns out truly wet and windy, I may get round to doing all three. The rest of the series? How about putting patches on the waistcoat, across the shoulders back and front? I’d say ruggedise it a la Mallory. Chamois leather elbow/under forearm panels and such like.